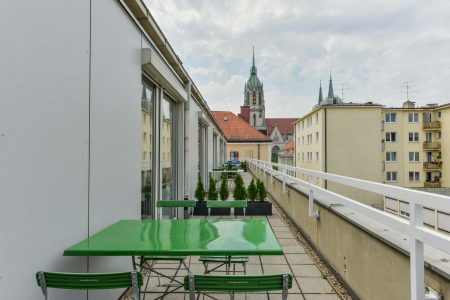 The Hotel Fidelio is your calm oasis in the middle of Munich’s popular district Ludwigsvorstadt. Our rooms await you with comfortable quality furniture and cozy beds for up to 4 guests. 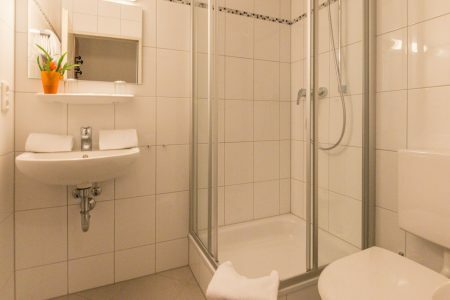 All rooms include an en-suite bathroom, a TV, a minibar, and Wi-Fi. 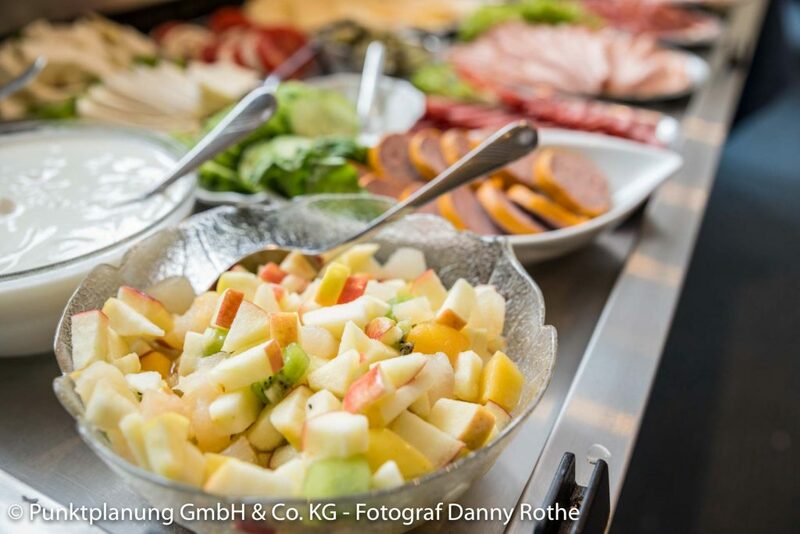 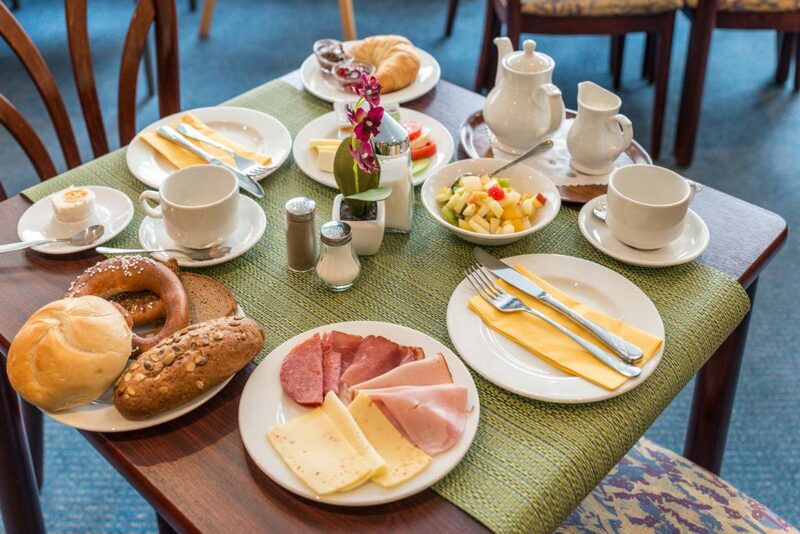 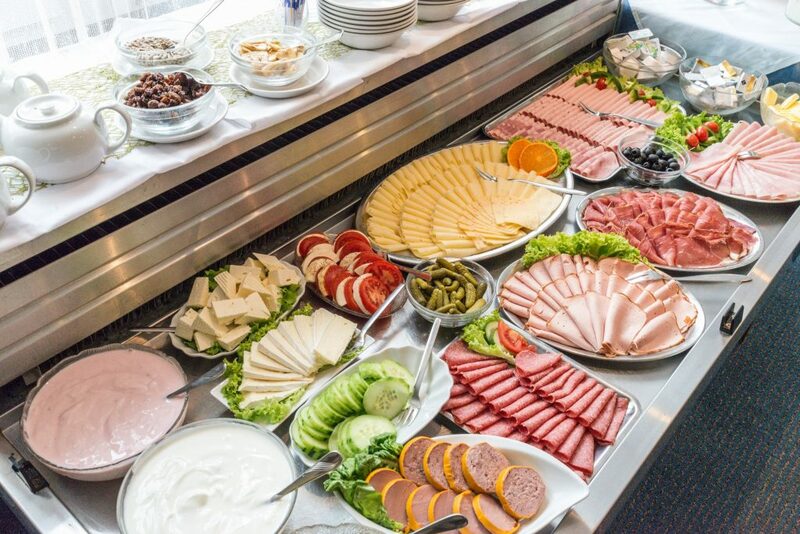 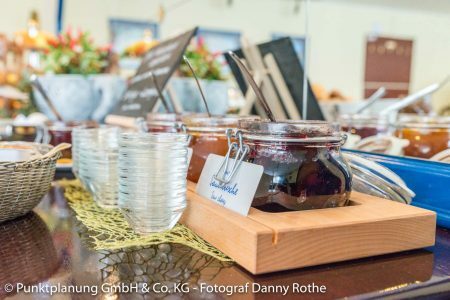 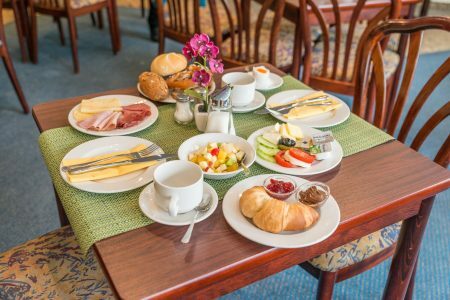 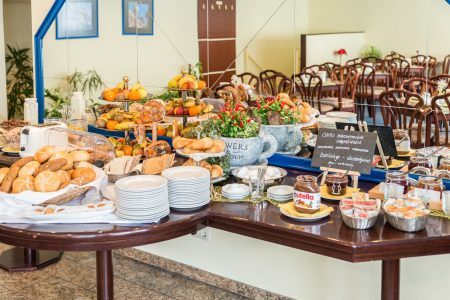 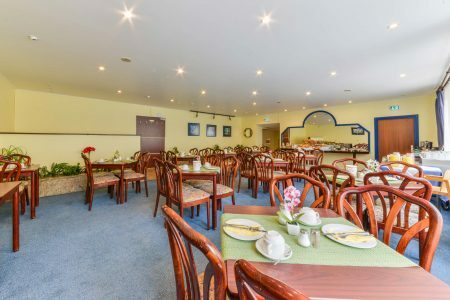 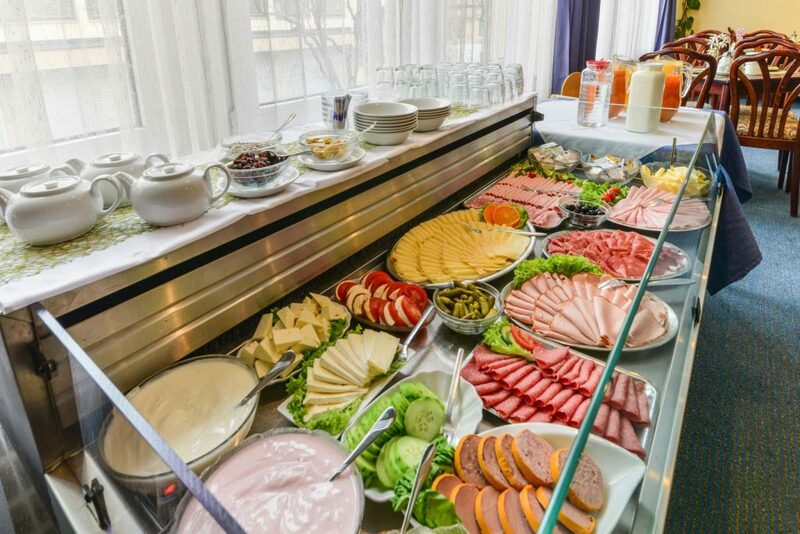 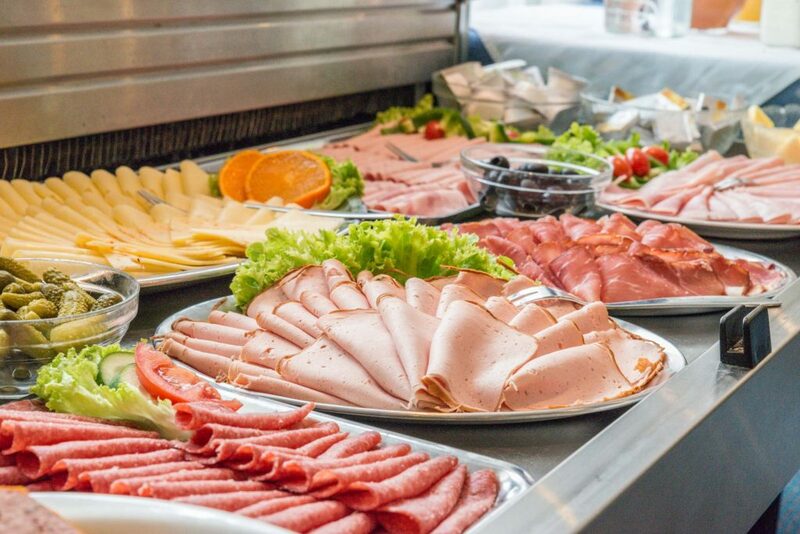 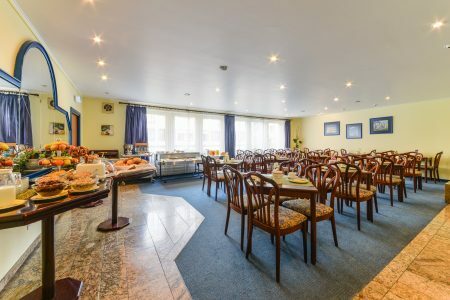 In the morning, we serve our guests a large breakfast in our breakfast room. 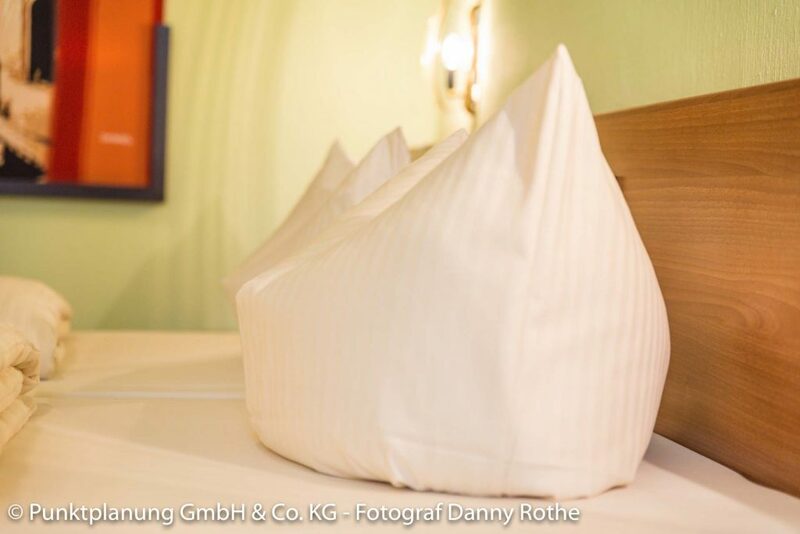 An excellent feature of our single rooms is their unobtrusive elegance and stylish decoration. 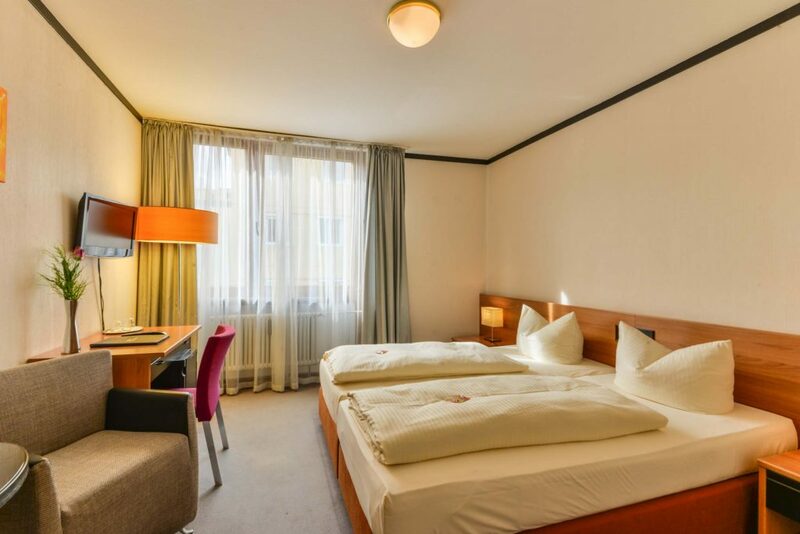 Enjoy the comfort of our house and the calm atmosphere together in one of our double rooms. 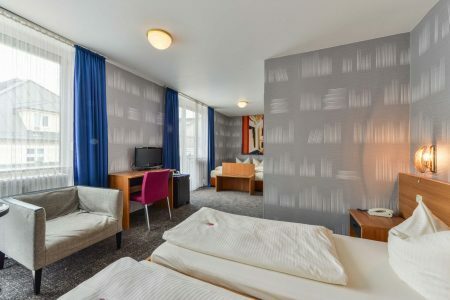 The twin-bed room has two separate beds, making it ideal for business travelers and fitters. 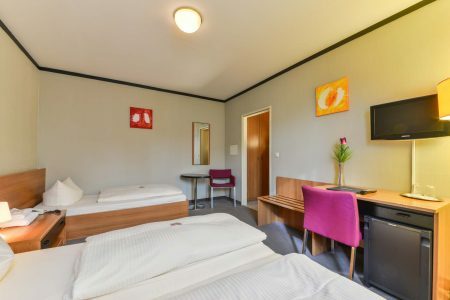 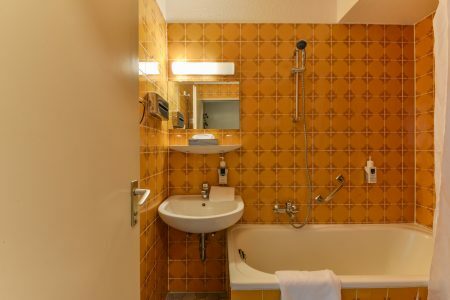 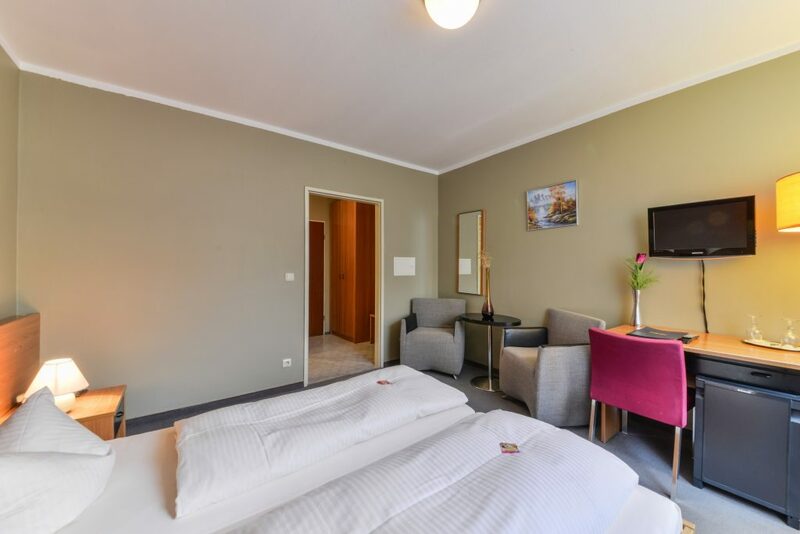 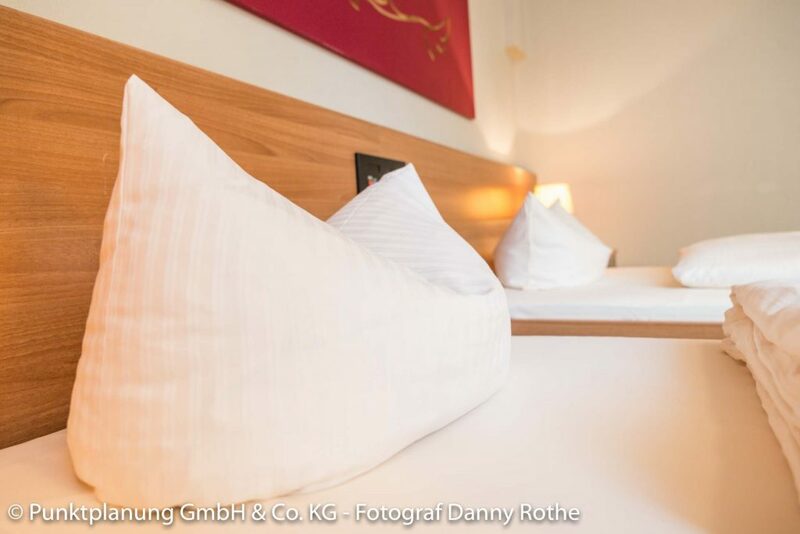 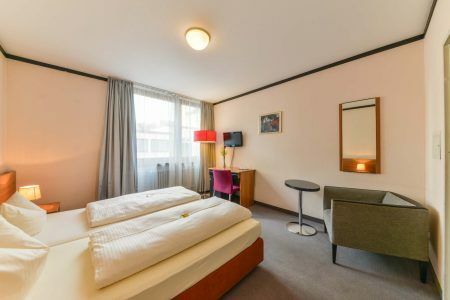 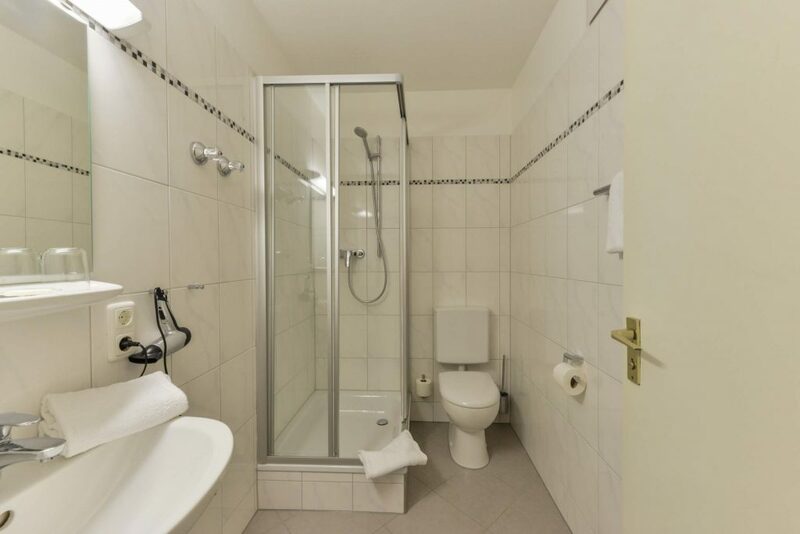 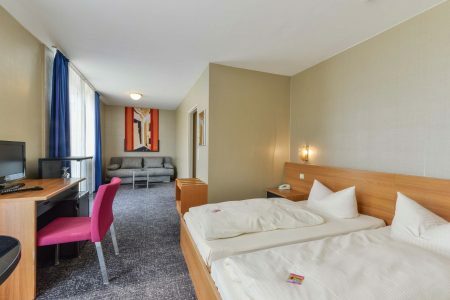 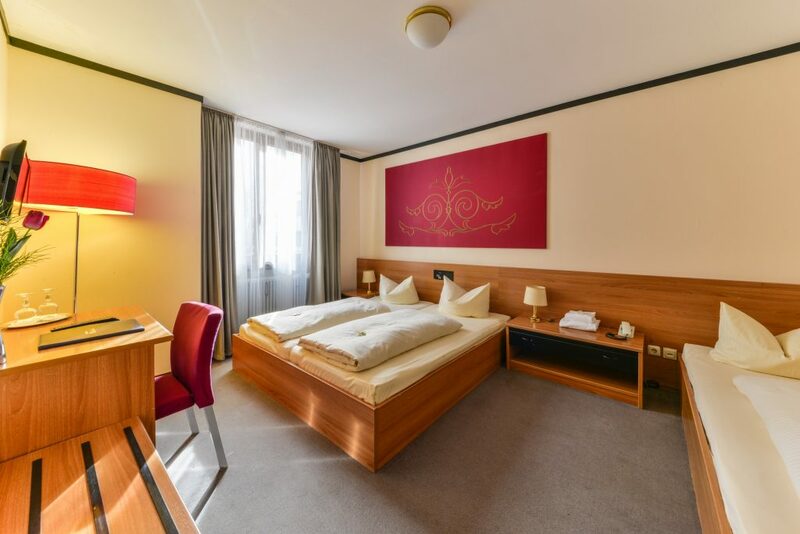 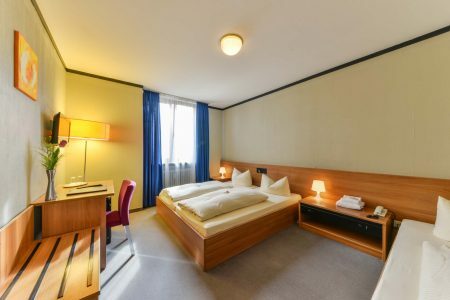 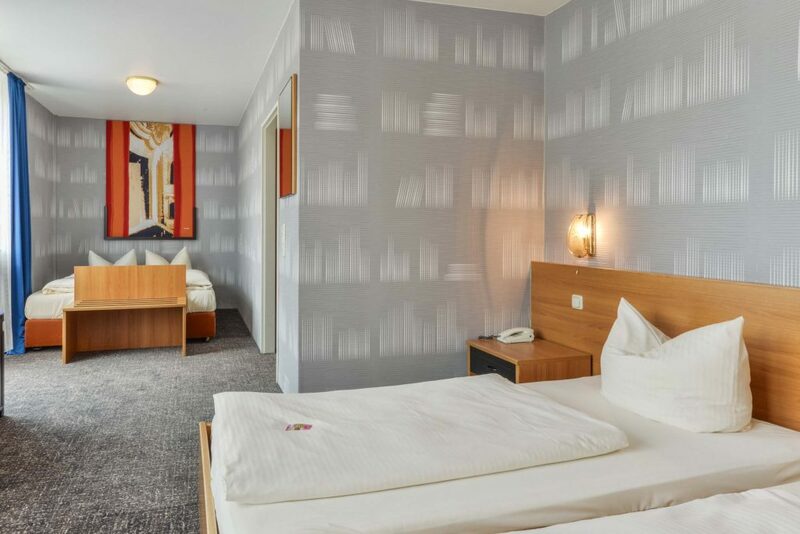 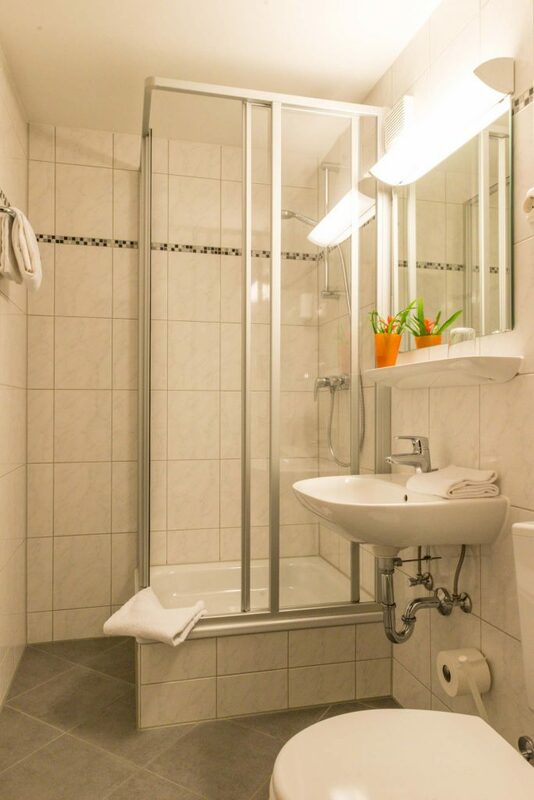 Our 3-bed rooms are a great choice for small families or groups on a trip to Munich. The Luxury Double Rooms offer additional space for our guests as well as a terrace with a view of the idyllic backyard. Have a nice cup of coffee, crispy rolls, and some of the many quality ingredients that we offer. 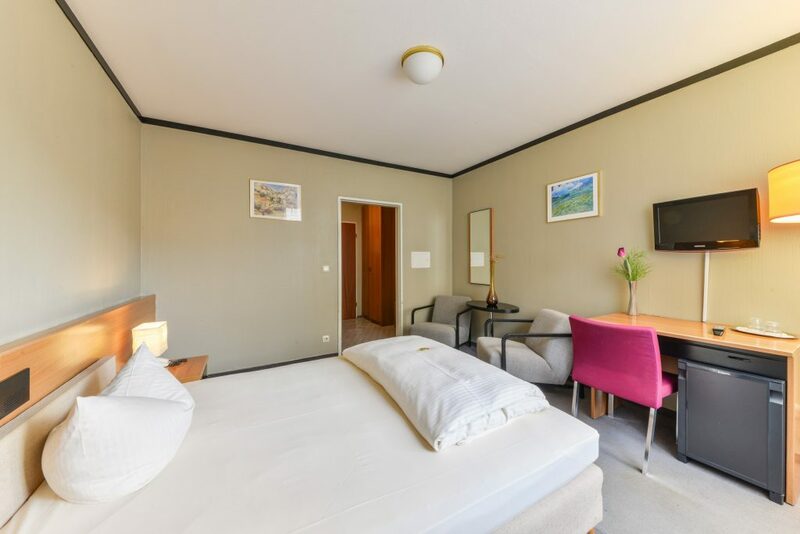 The rooms at the Hotel Fidelio have been designed and furnished with great care. The comfortable beds and the windows facing the calm yard ensure that you can have a relaxed stay. 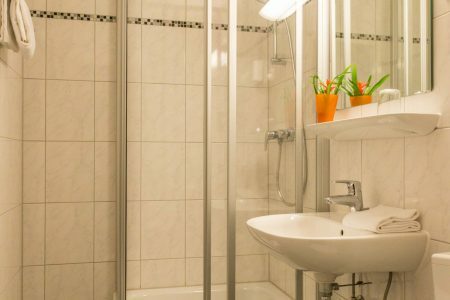 In addition, you can look forward to clean, partly modernized bathrooms with a bathtub or a shower, cable television and free Wi-Fi. 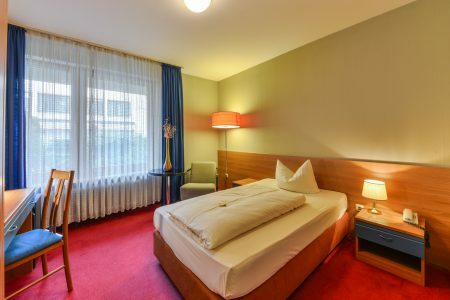 Lay back and enjoy the entertainment on your flat-screen TV with cable television. 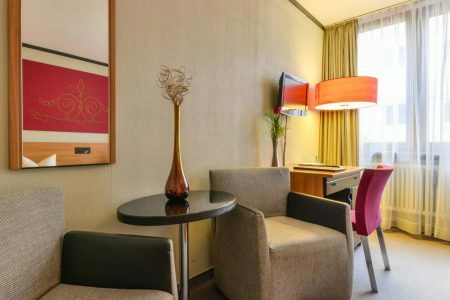 Make use of our reliable Wi-Fi to get some work done or to communicate with your family back home. 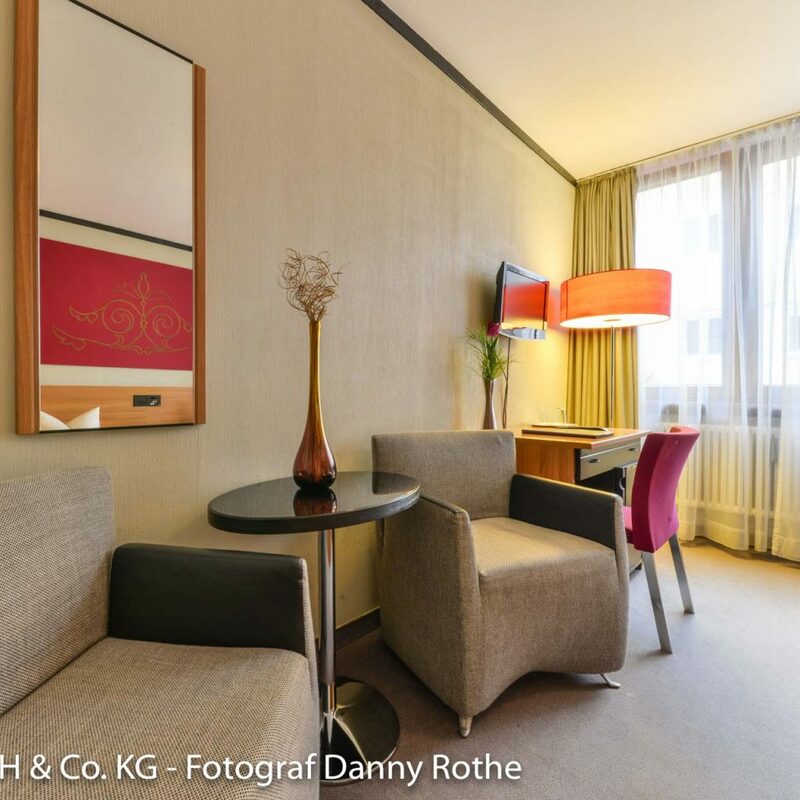 No matter if you want to work on your laptop or sort through paper documents, a desk is great to have. 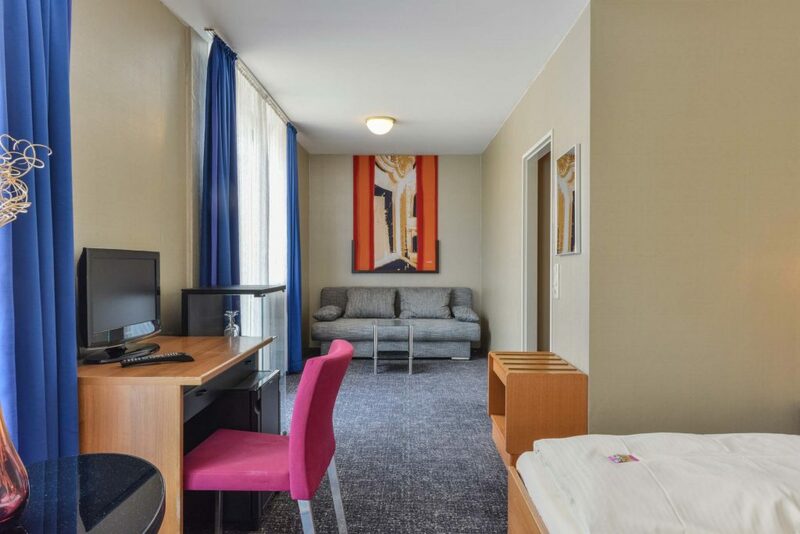 Many of our rooms offer additional comfortable seating and tables to relax. 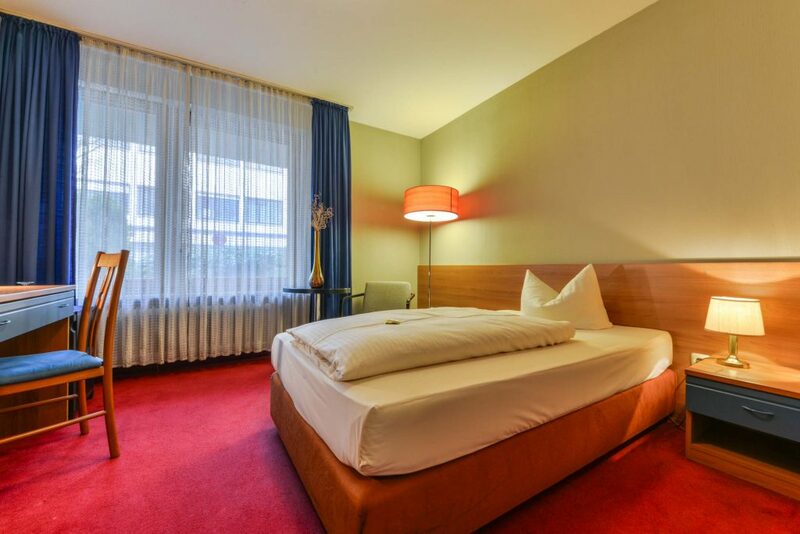 Lots of space for your luggage ensures a tidy atmosphere in your hotel room. 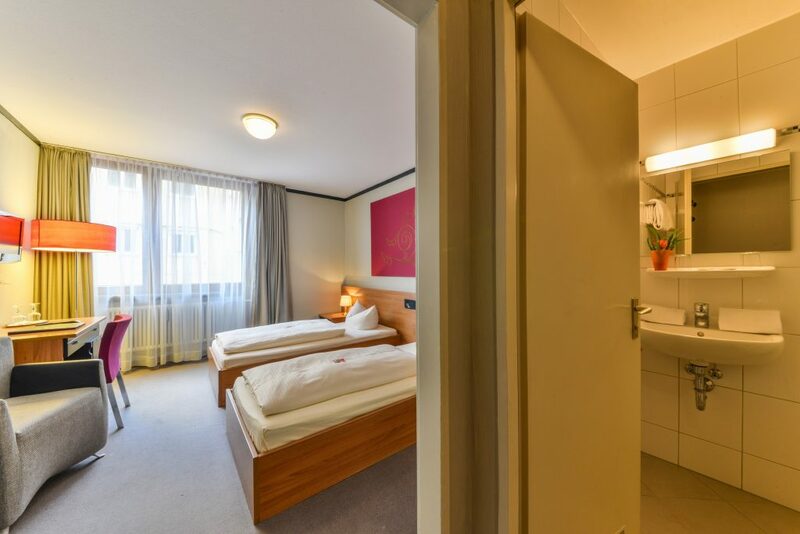 A spacious closet helps keep your clothes fresh and clean during your stay. 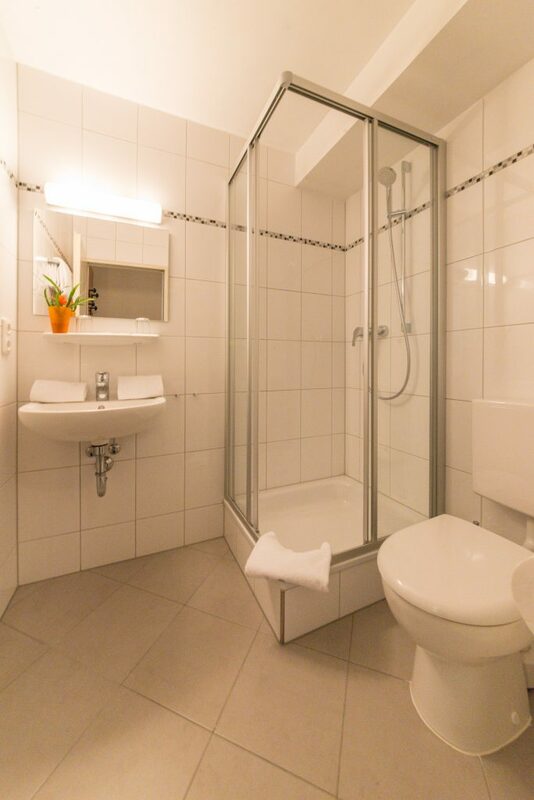 Your en-suite bathroom offers a lot of privacy and comfort for all of our guests. All rooms include modern hair dryers for you to dry and style your hair after washing it. 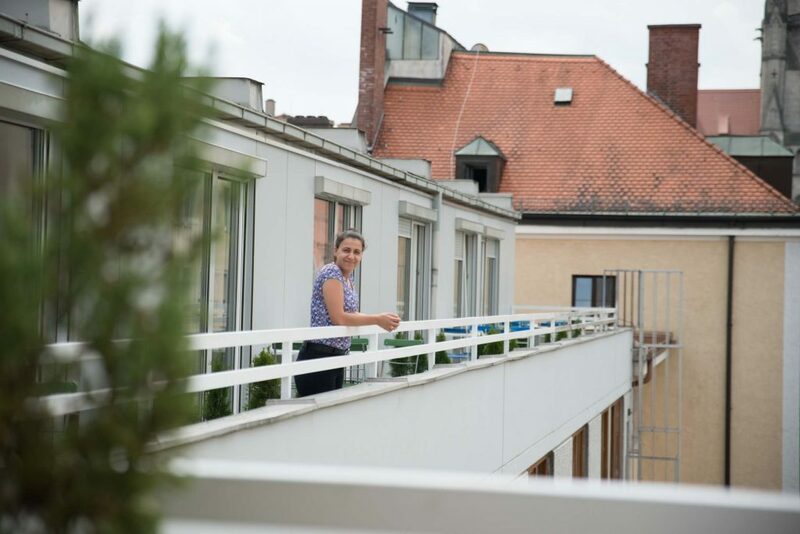 Some of our rooms have a terrace to relax on and to enjoy the Bavarian sky.